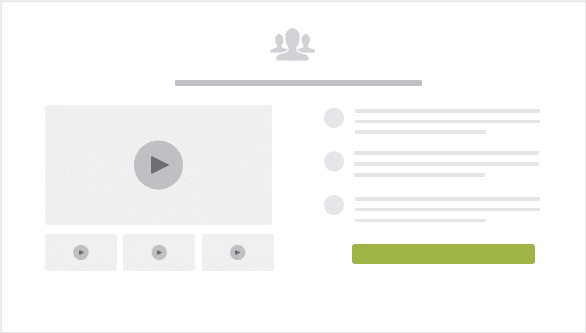 This video walk through outlines a highly converting podcast website design pattern called “The Upside Down Podcast Home Page” – optimized to create a guided experience for your site visitors, and to encourage them to subscribe to your podcast via email. 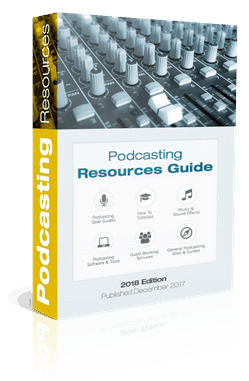 The video covers 2 versions of this – a more complete version for established podcasts with multiple seasons or topics, and a simple version for new podcast sites with a narrow niche and focused audience. In this post I want to outline the reasons behind focusing on email list building instead of obsessing about iTunes rank and “New and Noteworthy”. The holy grail of podcasting is to get iTunes Subscribers, right? And to get into the “New and Noteworthy” charts, right? And so podcast website design should focus on getting visitors to your site to subscribe on iTunes, right? Wrong, in my opinion. The iTunes podcast ranking algorithm, as well as the “New and Noteworthy” charts, are seriously broken at the time of this writing. The top 200 podcasts are being gamed and exploited, and are full of entries who are paying thousands of dollars to overseas click farms for instant presence in the top charts. This is not just my opinion, but has been extensively covered in the podcast news beats. If you want to see a comprehensive video explaining how this is the case, and what the impact on the iTunes ecosystem is, just watch this video by Lime Link. For a comprehensive guide on “How To Promote A Podcast”, click here for the best podcast promotion strategies. It is meant to create a better experience for them. It is based on empathy with your audience. Your podcast website design should be intended for your audience to discover your best and most relevant content. Content that resonates the most with their own situation and listening goals, and also is what you are most proud of. The top of the page is dedicated to one thing: getting people to sign up to your podcast via email. The social proof band establishes you’re not a weirdo, and if possible outlines your best reviews, or that your podcast was in the top 100, or that you’ve been featured elsewhere, including on TV, or even if you’ve appeared on other podcast shows. The roadmap section provides an on-ramp to let your site visitors self-select their journey through your content. This could be navigating through multiple seasons or categories. Each segment or column on the road map smooth scrolls to a pilot story section further down the page. This allows your visitors to stay on your site. 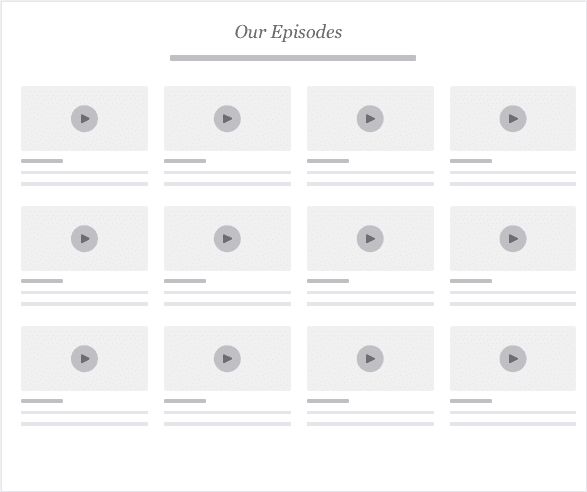 As covered in our video, there are multiple ways in which pilot stories function within your podcast website design to highlight your very best best content. If you have a single and focused niche you may only need a single pilot story. But if your podcast website design is intended to offer multiple categories of content, or multiple seasons, then you can add “Pilot Story” sections for each. Another way to position the pilot story sections is to categorize your content. Does your podcast offer advice, or tips? If so, chances are that your episodes fall into multiple categories of advice and tips. You can develop a “Pilot Story” for each category, and highlight the best episodes for each. Associating your podcast homepage with strong calls to action also allows for utilizing paid ads and post boosts on Facebook and other platforms. And, make sure your podcast episode files use Facebook correctly and link to your show notes pages rather than to iTunes. Our in depth guide on how to increase your podcast listeners delves into all the reasons to go beyond iTunes. Finally, here is the section that unfortunately appears right at the top of the podcast home page in too many podcast website designs. By the time that people scroll to this section, your pilot stories have had ample time to communicate the benefits of signing up via email as well. If you use the icons and graphics provided by each platform, consider adding text explanations under each graphic. Your readers might not recognize each graphic. Like the iTunes links, your complete episode grid is purposefully moved towards the bottom of the page layout, so people are likely more likely to scroll and discover the highlighted episodes in the “Pilot Story” sections above. Also, if you are interested in a downloadable PDF version of this design pattern as featured and covered in the video with all the annotations and explanations, please sign up below. And I am creating a “Done For You” version of this design pattern using the Thrive Architect content builder, which means this will be a “ready to install” customizable page template on any WordPress site, let me know if that is something you would want in the comments.